The funding from this project will be used to train 8 Early Childhood Development teachers which will benefit 160 children. The funding of this project will provide for the training of eight teachers in ECD centers which will benefit 160 disadvantaged children. Not only will the children be receiving the essential education they deserve but this will provide better education for many more children in the future. Share this https://different.org/projects/ithemba/changing-early-childhood-education-in-sweetwaters/, email it, spread the word and make a difference. 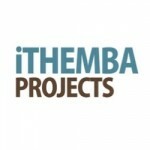 iThemba Projects mission to bring hope for a better future. One of there main focus areas is ECD education. Research shows that the best way to tackle unemployment and poor education is by improving ECD. Sadly, the preschools in Sweetwaters do not provide for the development of those key skills that are essential to brain stimulation and development. Through the Asidlale program, iThemba Projects staff and volunteers mentor teachers, run training workshops, create teacher support groups, and provide resources for school curriculum. In 2015, we reached over 17 educators at 14 crèches , impacting over 500 children weekly. Sweetwaters is home to around 60, 000 people, a majority who are youth and children. This is a vibrant community, rich in culture and warm in hospitality and the children are full of life, laughter and fun. However, like many communities throughout South Africa still affected by the legacy of the apartheid government, people face many challenges. In addition to having the highest HIV infection rate in the world, where half the adult population is HIV positive, this area is also characterized by high unemployment rates, sexual abuse, poor education, and low matriculation rates. Only 23% of youth have a matric certificate, and only 3% complete any further studies. iThemba also provide healthy nutrition for children in Sweetwaters and help by filing the gaps of a fatherless generation. May God keep blessing you and give you strength to keep at it.